The girl group MAMAMOO has won twice in music broadcasting programs with their new song ‘gogobebe’. On the 21st, MAMAMOO has won the trophy of the first place with their new song ‘gogobebe’ at ‘M Countdown’ of Mnet. Including ‘The Show’ of SBS MTV aired last 19th, this was the second trophy MAMAMOO has won in music broadcasting programs. MAMAMOO has showed off their girl crush charms through the stage of the new song ‘gogobebe’ on this day. They have raised the explosive response of the audience with the fancy stage manners and of course with their stable live abilities. They have presented the four distinctive four-color personality of each member and showed the performance that matched their modifier ‘Believe and watch’ MAMAMOO. 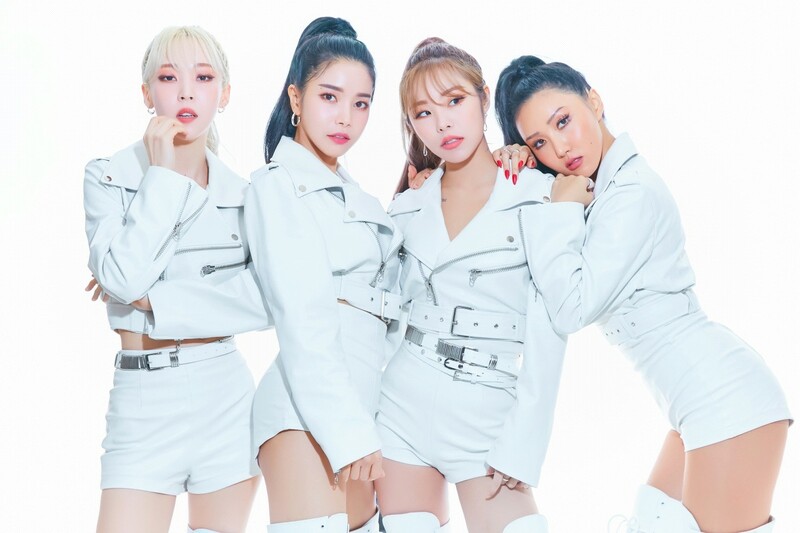 Previously, MAMAMOO has released their 9th mini album ‘White Wind’ on the 14th, the title song ‘gogobebe’ has ranked 1st in major soundtrack sites in Korea, and they are maintaining the higher ranking even now and are receiving many loves by the fans. Also, MAMAMOO has recorded about 38,600 first sales (March 14-20) and has replaced their own first sale record. This is the higher record that surpassed 35,000 first sales of their 5th mini album ‘Purple’ which was released last June 2016. MAMAMOO is not only powerful in soundtracks but in albums as well so this is becoming an issue. And while they are continuously winning the music broadcasting programs, these kind of hot reactions looks like they were able to grab the audience and fandom at the same time. The title song ‘gogobebe’ is genre of reggae with impressive Latin guitar riffs, adding a wide range of melody lines to a dreamy yet heavy sound. Meanwhile, MAMAMOO is continuing their activity with the new song ‘gogobebe’ by appearing in other music broadcasting programs as well including ‘Music Bank’ of KBS2 aired last 22nd.